To celebrate the launch of its selfie phone, the Xperia C3, Sony has dived into the history of the selfie and distilled the info into an easy to digest infographic. 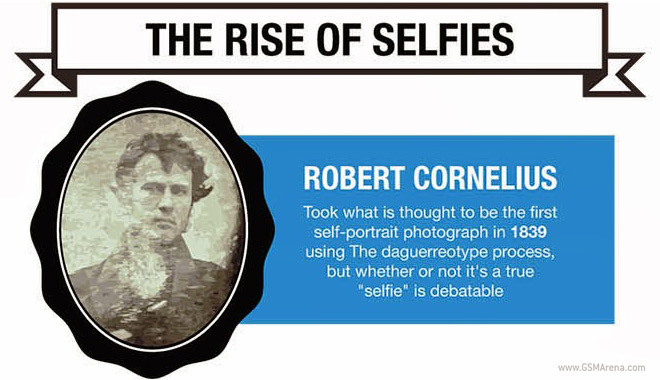 If you think “selfie” is a recent fad, you’ll be wrong – one Robert Cornelius took the first selfie in 1839. This Victorian selfie wasn’t snapped with a cell phone in the bathroom mirror, obviously, Cornelius used the daguerreotype process. Sony claims this isn’t a “true” selfie though (sorry Robert, try more duckface next time). The first time the tag #selfie was used was in the distant year 2004 and the image was posted on Flickr. It was a slow burn since then but the word “selfie” went up 17,000% in usage in just the last two years. In 2012 it made Time’s Top 10 Buzzwords of the year and in 2013 the Oxford English dictionary announced it word of the year. Don’t lie – there’s an almost 50-50 chance you have taken a selfie. And if you’re in the 18-34 age group, there’s a good chance you’ve snapped one this week. 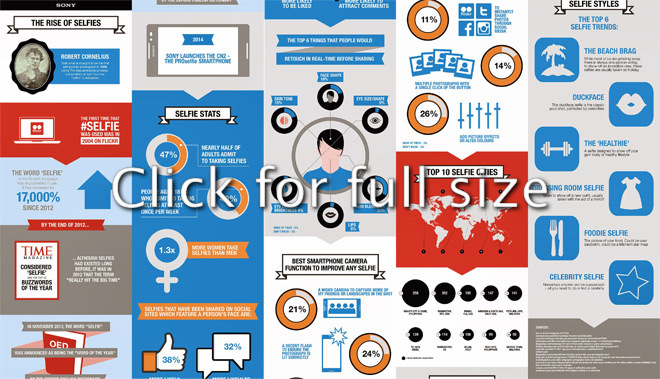 The infographic has a lot more statistics – you’ll never guess which the selfie capital of the world is or how many selfie types there are (yes, there’s more than one).